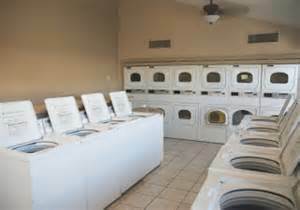 We offer various services and products to meet the laundry needs of your multi-housing operation. With top of the line brand name offerings, Clean Source has a strong selection of durable, easy-to-use machines that will help keep residents on-site for their laundry usage. Our equipment is convenient, easy to manage and can help you generate additional revenue from residents. Clean Source can provide full management of your laundry rooms on your property. Our professionals will install, service and collect on a monthly basis, providing your revenue back to you with an enclosed monetary statement. We additionally offer leasing options which includes service and installation. If you are looking to replace your existing equipment, don’t hesitate to ask us about our selection of washers and dryers. Energy efficient, dependable and high performing, you’ll save time and money with a brand new system from the professionals at Clean Source. Get solutions for your multi housing property today. Contact Clean Source through our web form or call 877-486-7627. Serving the cities of Tulsa, Oklahoma City, Stillwater, Owasso, Claremore, Broken Arrow, Bixby & Sapulpua OK.